When Filippo Marinetti travelled to Saint Petersburg and Moscow in the early months of 1914, Larionov was among the group of Russian radicals who boycotted the visit. By 1914 Larionov’s artistic language had progressively broken away from the influence of Futurism and was drifting towards a cross between a Primitivist folk aesthetic and a Cubist arrangement of space. 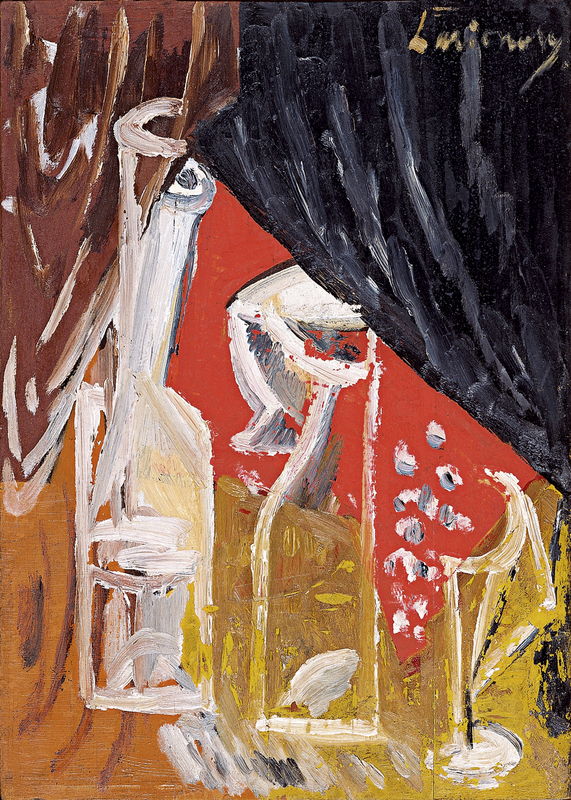 Although, like most of the painter’s work, it is very difficult to date, the present Still Life with Carafe and Curtains has generally been ascribed to that year. It combines Cubist elements with a deliberately rather crude technique, which once again underlines Larionov’s wish to return art to the naivety and awkwardness of non-professional artists or crafters of folk objects. In 1914 Larionov began to work for Diaghilev’s Ballets Russes and abandoned Russia for good a year later. After following the company across Switzerland, Italy and Spain for a time, he settled permanently in Paris. 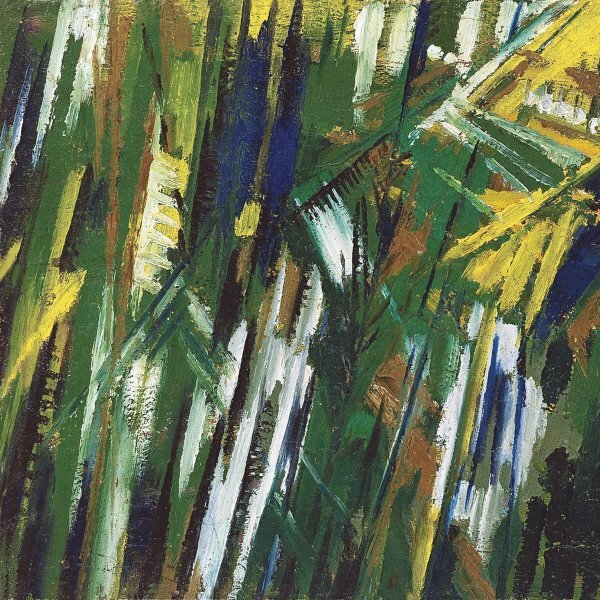 He strove to adapt the particular features of Cubism to the stage scenery and costumes of the ballets, and his pictorial vocabulary became increasingly abstract.